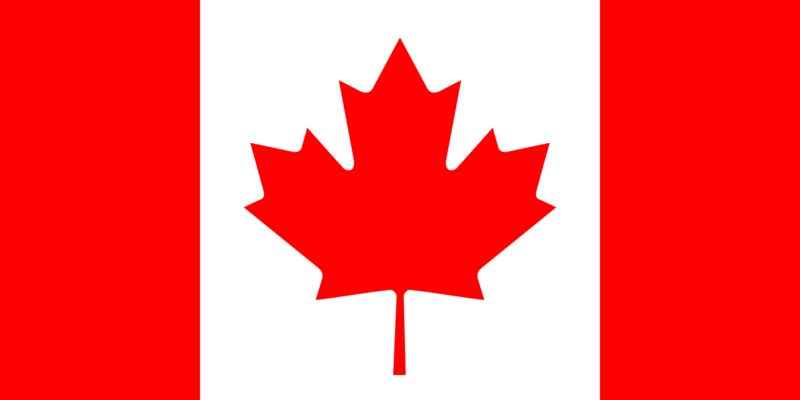 A lot of people in Canada wonder if they can invest in US property tax liens. The answer is an absolute yes. To be successful, Canadians need to know the rules, do their homework and understand how investing across international borders works. The proper name for the tax lien auctions held by counties around the USA is “tax defaulted property auction.” The property is called “tax defaulted property.” The “tax defaulted” means the property owner did not pay his property taxes. Under state and federal law, a county can sell the property to collect the past due property taxes. The highly respected legal information and advice website, Nolo, has several articles about tax defaulted property auctions. “What Happens If My Home Goes to a Tax Sale?” is a guide for people who did not pay their property taxes and are about to lose their home. The article clearly states these auctions are legal. You need a few things to be successful and make big profits. You need money to invest. Some tax defaulted properties sell for less than $1,000. Some sell for more than $10,000. What’s important with the cost is these properties sell for a fraction of the fair market value. The county and state only want to collect the past due property taxes. In that respect, it is the same as tax defaulted property auctions in Canada. A sale in Simcoe, Ontario, saw one property sell for $60,000. It had a fair market value of $175,000. Compare this to a sale in Tennessee. A property in that auction sold for $95,100. A property value estimate from the real estate guide website Zillow.com put the value of the property at $224,561. I will discuss Zillow more in a moment. You need an Individual Taxpayer Identification Number (ITIN). This is available from the Internal Revenue Service (IRS) in the US. It can take a few months for the IRS to approve your application for an ITIN. Getting an ITIN is free. If you are thinking about investing in the USA, then you need an ITIN. Discussing this with an accountant familiar with the process is advisable. To invest in an auction, you have to find an auction. Fortunately, every county in every state holds tax defaulted property auctions. Pick a state you want to invest in. Now, pick a county in that state. Some of the USA’s designations for counties may be confusing. Louisiana has “parishes” instead of counties. For investing purposes, it is the same thing. Alaska has boroughs, which is the same thing as a county where investing in tax defaulted property auctions is concerned. My website, Members.TedThomas.com, has an auction calendar. I also have a map showing you what kind of auction each state holds. You have to know the rules. Every state in the USA has some sort of tax defaulted property auction. Property is sold as a tax lien or a tax deed. If you want to make big profits, you can invest in either auction. Every state has different rules for the auction. Every county also has different rules. You have to know the rules. Since you live in Canada, the easiest way for you to invest is through online tax defaulted property auctions. Some counties have their auctions online. Some do not. California has auctions online and in-person. Orange County holds in-person auctions only. You have to attend the auction or have someone represent you says the county’s Frequently Asked Questions (FAQ) page. San Luis Obispo County holds online auctions. San Bernadino requires a refundable $1,000 deposit and nonrefundable $35 processing fee to participate in its auction. A winning bid has to be paid within five business days. The county’s FAQ page has much more information. San Luis Obispo does not require a deposit, but requires bids go up in increments of $100 US. A winning bidder has 72 hours to get the funds to the county. Both counties accept “electronic fund transfers” (EFT). The EFT means your bank sends the county’s bank the money for your bid. No paper changes hands. This is very secure and reliable. Since you are investing from Canada, you will pay an exchange fee to convert Canadian dollars into US dollars. Remember the Canadian dollar is less than the US dollar on the exchange market. You need to figure this into any bid you make. A $1,000 bid in US dollars could cost you $1,300 Canadian according to the exchange rate when I wrote this article. The USA has two basic kinds of tax defaulted property auctions, a tax lien auction and a tax deed auction. If you just want to make a return on your investment, make money, then look for tax lien auctions. If you want to own property to rent it, use it yourself, or sell it for a big profit, then look for tax deed auctions. A tax lien auction sells the right to collect the past due property taxes when the delinquent taxes are paid to the county. You bid on the property at the auction. If you win, you pay the county for the past due taxes and any premiums they added. Then, you collect what you paid at auction plus interest from the county, after the property owner pays the past due taxes and interest to the county. When the owner pays the past due tax debt, this is called redeeming the property. More than 95 percent of property tax liens are redeemed by the owner. In a tax deed auction, you are trying to buy the property. The county sells the property to you for the cost of the past due taxes and the premiums added by the county. You get the property after you pay for your winning bid and all the paperwork is completed. Some counties have a “hybrid auction.” They combine elements of the tax lien and the tax deed sale. This article on my website explains the kinds of tax defaulted property auctions in much more detail. You have to know if the property is worth your investment. The real estate guide website Zillow is a very important tool for you to use. It has a wealth of information you need before you buy a property at a tax defaulted property auction. My website, Members.TedThomas.com, has two videos that explain in detail how to use Zillow. You can also learn everything you need to know about investing in tax defaulted property on my website.